I'm used to seeing Buddhism in Japan, China and Taiwan, so seeing open worship of Islam was an eye-opener. Headscarves and long robes were a far cry from the short skirts and revealing outfits I've seen on women in other Asian countries. The most conservative women wore black abayas and their faces would be covered by a niqab. The only visible part of them were their eyes. KL was the first place I've been that felt as much Middle Eastern as it was Asian. The Chinese women were a stark contrast. 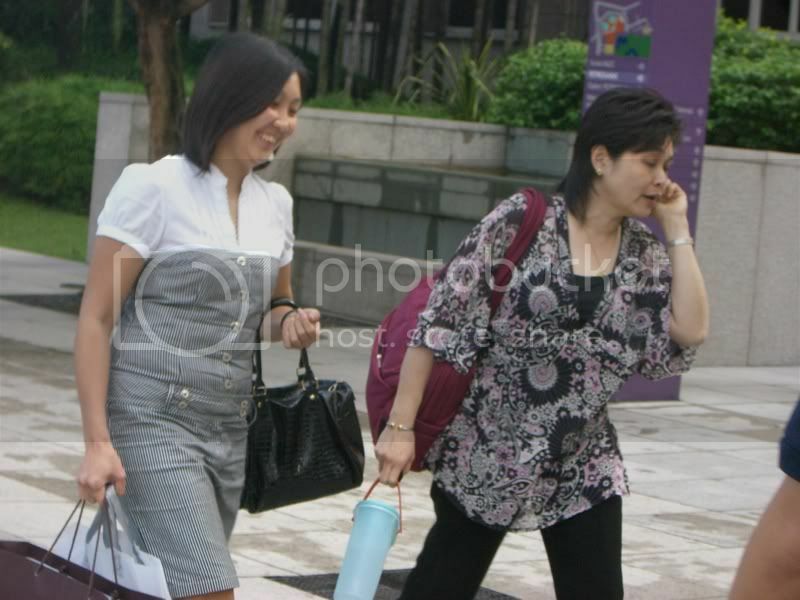 Their clothes were more modern and trendy, similar to what I've seen in Hong Kong and Taipei. One of the most fun things about travel is finding out what things are the same and different compared to your home country. It's like witnessing globalization in action. 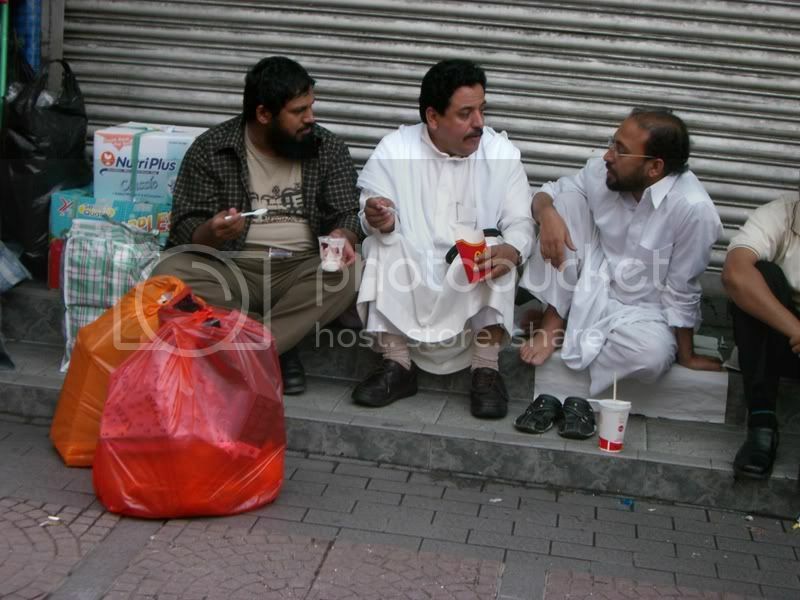 One of my favorite pictures from this trip is the one I took of three Muslim guys in white robes sitting on a step. They're talking while holding food from McDonald's. Another example was when I would see Indian women with bright saris and bindis, yet they'd be chatting away on cell phones. The city’s architecture also evoked images of other metropolises. The dirty streets and crumbling buildings were so Manila. But the massive banks and gleaming shopping centers could have been transplanted from Hong Kong. KL has a brand new light rail and subway, but they aren’t integrated well. It takes a long time to transfer between lines. Modern but not efficient, that’s totally Bangkok. The mosques and Islamic towers could have come from Dubai. KL made me realize how residents in Taipei are mostly middle class. There was a much more blatant gap between rich and poor in Malaysia. Ethnic Malays have the government positions and the political power, while the Chinese control the economy and private business. This situation leaves the Indians feeling increasingly bitter, from what I’ve read. 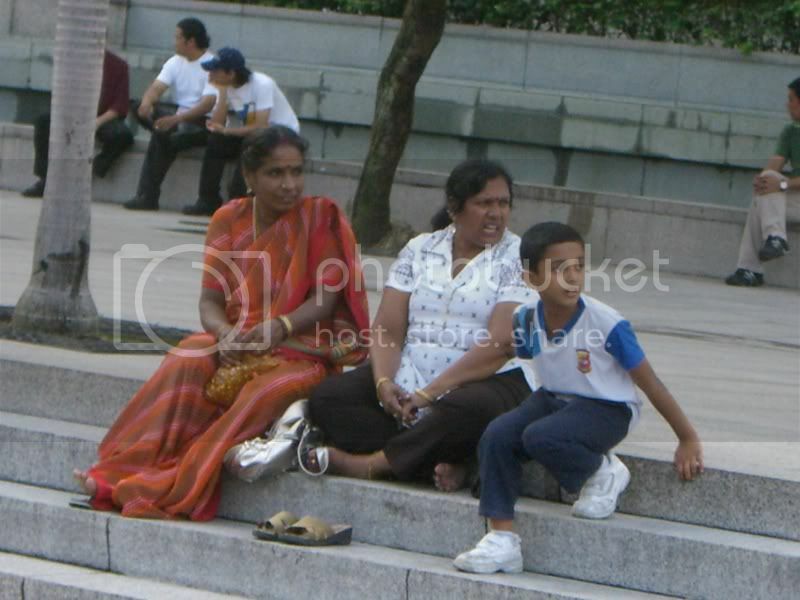 Ethnic Malay people reminded me of Filipinos: cheerful, friendly, relaxed and able to speak English. The difference was that the English spoken by Malays sounded more like their neighbors, the Singaporeans. While KL was multicultural, I didn’t get the feeling that the races all existed in harmony. It wasn’t the Honolulu of Southeast Asia. Everyone seemed to stick to their clique. The government also seems to be creeping toward a Muslim-style theocracy, despite the fact that the Malaysian constitution guarantees freedom of religion. Moving on to a lighter topic, I’ve become a bad tourist lately. I’m really lazy about doing sightseeing nowadays. I usually visit one or two of the most famous sights, then quit. Now I'm simply happy to wander around, take photos of local life and hang out with other travelers (or local friends, if I'm that lucky). I’ve become a lot less militant about having to see every attraction listed in the guidebook. This is because I can only take short trips these days, so my main goal is to relax. When I do extended trips, I try to see more sights. When it comes to food, Malaysian cuisine is fantastic! 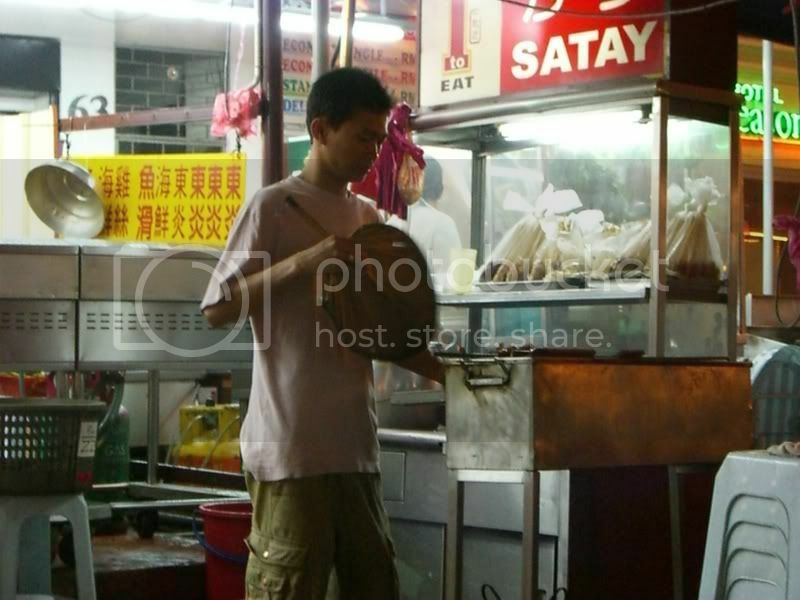 I first had chicken satay when I visited Singapore in 2006, and I’ve been hankering for it ever since. It’s a classic dish, so I was really looking forward to eating it again. Luckily, Jalan Alor, one of the most famous food streets in KL, was close to my hostel. In Taipei, it’s hard to find places where you can eat al fresco under a canopy. A refreshing aspect about dining in KL is that a lot of places have outdoor seating. Jalan Alor was no exception. It reminded me of the hawker centers in Singapore, where the food mattered more than the décor. Most restaurants in hawker centers only had basic furnishings: folding tables, plastic chairs and packs of tissues instead of real napkins. 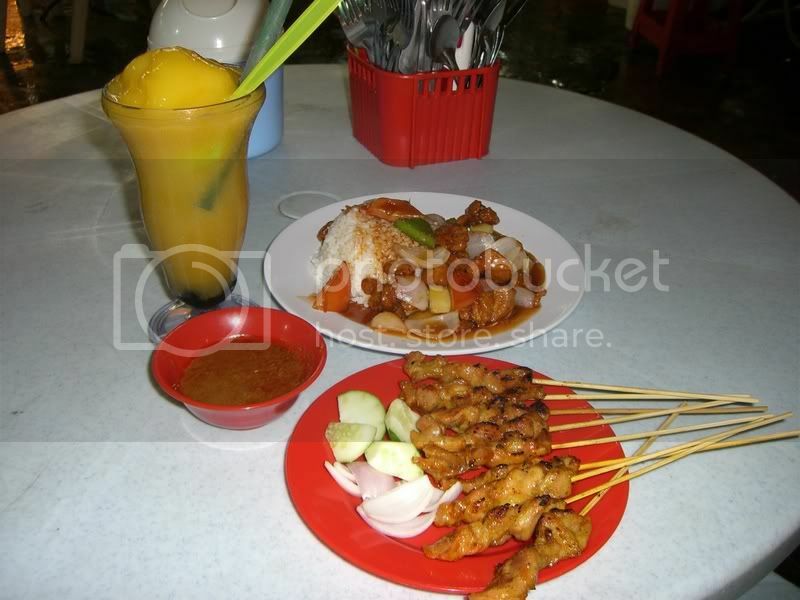 Chicken satay with peanut sauce, sweet and sour chicken, and a mango smoothie. This grand feast was mine for a mere 19.50 ringgits, about US$5.60. I also became a mango addict while I was in KL. I’d get mango smoothies with my meals, and buy cartons of mango juice at a supermarket before going back to my hostel every night. Sipping fruit drinks reminded me of being home in Hawaii. 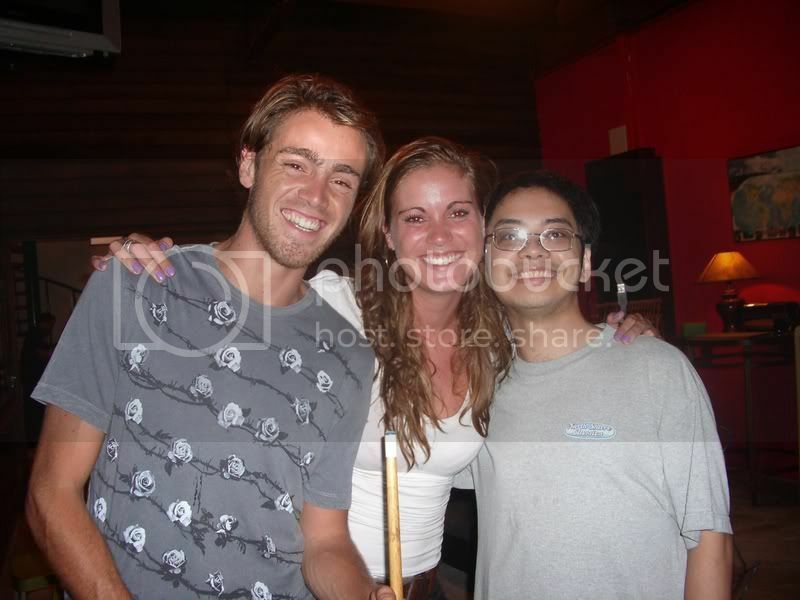 My good Canadian friend Colin said that the hostels in Malaysia were magnificent. If the one I stayed at in KL was representative, then I'd happily backpack through the rest of the country. It's called The Haven Guesthouse. This hostel had a colorful, jungle lodge atmosphere. While I stayed there I met Maarten and Lize, a Dutch brother and sister. 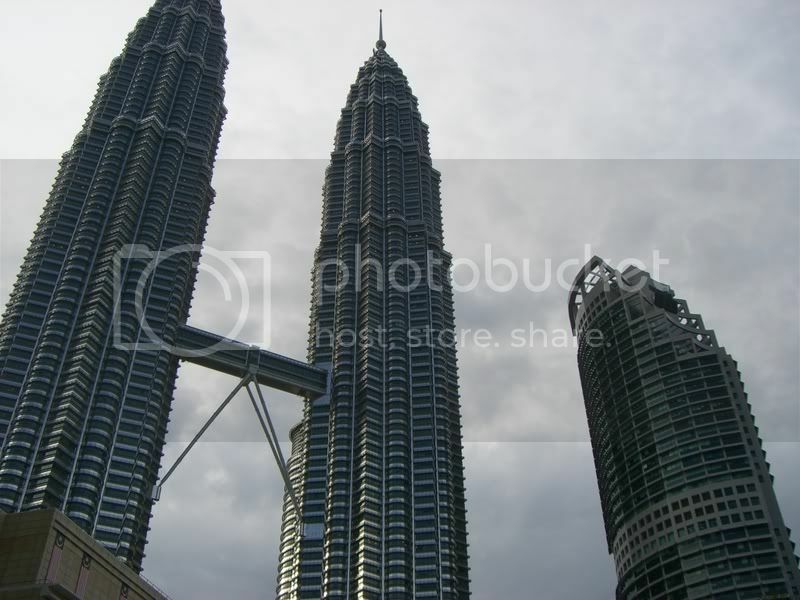 They had come up to KL after traveling through Indonesia. They were refreshing, since I've been pretty down on Westerners in Asia lately. Maarten and Lize are the type of people I hoped to meet when I first started traveling: fun, worldly yet unpretentious, and great conversation partners. Their striking good looks were just a bonus. By air: This depends on which airport you land in. If you're landing at Kuala Lumpur International Airport (KLIA), you can take the the KLIA Ekspres train into the city. RM35 one-way, 28 minutes. Air Asia flights land at the Low Cost Carrier Terminal (LCCT). You can take Air Asia's Sky Bus to KL Sentral Station. RM9, about 1 hour to 1 hour 30 minutes. From KL Sentral, you can get a prepaid taxi or cross the street to Tun Sambanthan monorail station. By bus: The main spot is Puduraya Bus station. In my experience, bus drivers often drop you off on the road near the station, not in the station itself. It's an unpleasant walk to the station, with a corrugated metal wall on your left and buses on your right belching exhaust in your face. The good news is that Puduraya Bus Station is connected to Plaza Rakyat LRT station. The bad news is that it's not marked with signs. Look between the aisles of the bus-company counters until you see an exit (Malay: "keluar") on the other side. There is a bright red Air Asia hotel reservation counter next to the exit for the LRT, "Masuk entrance pintu 5." Walk out of the exit, and you should see a walkway covered with metal sheeting. Head left and up the stairs. Follow the path to the red-and-blue Plaza Rakyat LRT station. Bedz KL is my favorite place to stay. The hostel has everything a backpacker wants: a big comfy common area with TV, excellent rain-style shower stalls and friendly staff. It's in the Golden Triangle, a great area for nightlife and shopping. The hostel is on Changkat Bukit Bintang, where there are many trendy bars. Also nearby is Jalan Alor, which has tasty street food. Sadly, The Haven Guesthouse, which was mentioned in my story, has since gone out of business. Jalan Alor is the hotspot for local food. Pavilion Mall has a great food court in its basement. KL is full of quality eateries everywhere. Head to ethnic neighborhoods like Little India and Chinatown. The Starhill Gallery mall has an amazing array of designer restaurants in its basement dining area. First Cup Cafe, an outdoor restaurant in front of BB Plaza mall, has awesome breakfast food. Their pancakes are some of the best I've had in Southeast Asia. Asian Heritage Row has plenty of clubs and bars. Changkat Bukit Bintang also has a good selection of cool hangouts. Bangsar is another hotspot, but it's bit further out of town. For the latest word, check out the nightlife magazine KLue. Going to the cinema is cheap in KL! Usually around RM11 (US$3). Golden Screen Cinemas is one of the biggest theater chains. The nicest cinemas are in Pavilion Mall, Suria KLCC Mall, and Berjaya Times Square. Miss Western fast food, but tired of the usual McDonald's? Head to Berjaya Times Square Mall, which has restaurant chains that are hard to find elsewhere in Asia: Krispy Kreme Donut, Papa John's Pizza and Wendy's are some of the rarities to be found there. There's also a huge branch of Borders bookstore there. It's probably my favorite mall in Southeast Asia. For electronics, head over to Plaza Low Yat, a multi-story monument to gadgetry. Bus: Most buses leave from Puduraya Bus Station, a hot, dirty, and chaotic place. Touts will pounce on you and try to steer you to their bus company. You can get to Puduraya by taking the LRT train to Plaza Rakyat station. Even better, there are two bus counters in the station. You can buy your bus ticket there in peace, without the hassle of touts. But you'll still have to board your bus at Puduraya. Transnational Express is the government-run bus company, and has reasonable prices and comfortable buses. They have a bus counter in Plaza Rakyat LRT station, so you can buy your ticket there instead of the Transnational booth in Puduraya, which usually has long lines of customers. Konsortium Express Bus is a sister company of Transnational, with plusher buses. For full details of buses around the country, check out Journey Malaysia.